Free things to do in El Paso - C.R.A.F.T. 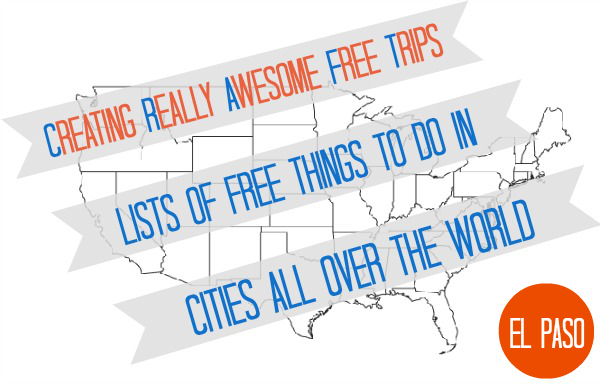 If you’re new here, Creating Really Awesome Free Trips is a series that happens every summer at C.R.A.F.T. Every Thursday (and some Tuesdays) I’ll be showcasing an awesome blogger and fun, free things to do in her city! Today we’ve got Vanessa with a city in the great state of Texas! Here are 7 fun, free things to do in El Paso, TX. We’re big fans of outdoor music here so choosing just one venue to spotlight was probably the hardest to narrow down! 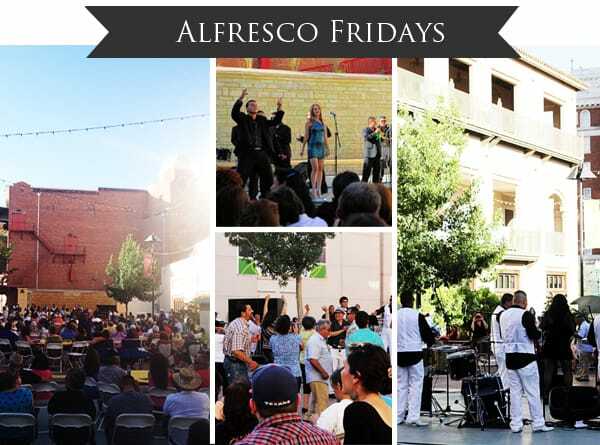 I decided to go with Alfresco Fridays because I absolutely love the energy that surrounds this free event. Hosted at the Arts Festival Plaza downtown (in between the historic Plaza Theatre and the Museum of Art), musical guests range from Classic Rock to Cumbias, Reggae to Jazz. There’s sure to be something for everyone. Show starts at 6 PM but people will be dancing into the night! Pro Tip: If you get there on time and are willing to drive or walk a little, there’s usually plenty of free parking to be found along the streets. It’ll save you the five bucks to park in a lot or garage! 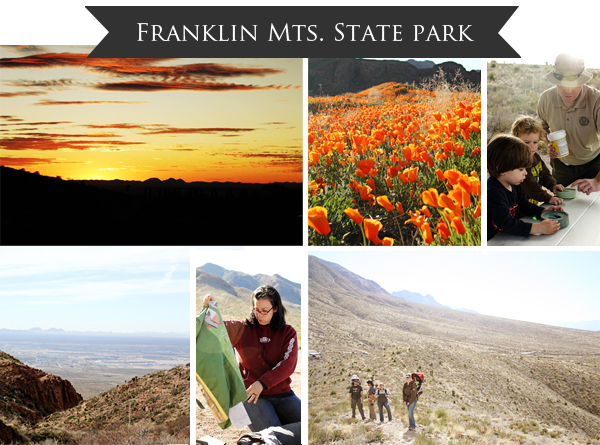 If there’s one thing El Pasoans love more than live music, it’s outdoor activities and Franklin Mountains State Park is one of our pride and joys! Even though it’s considered the largest urban park (24,247 acres, all within El Paso city limits), there’s nothing like leaving the world behind as you walk one of the many designated hiking paths. Are you more of a bike kind of person? There’s plenty of paths available to you too! Pro tip: Check out the Franklin Mountains State Park Event Page to join some great guided hikes and bike rides. West Cottonwood Mines Exploration is an easy beginner’s hike and super interesting. Deciding on which of the many El Paso museums to feature was difficult because most of them are quite enjoyable and almost all of them are free. 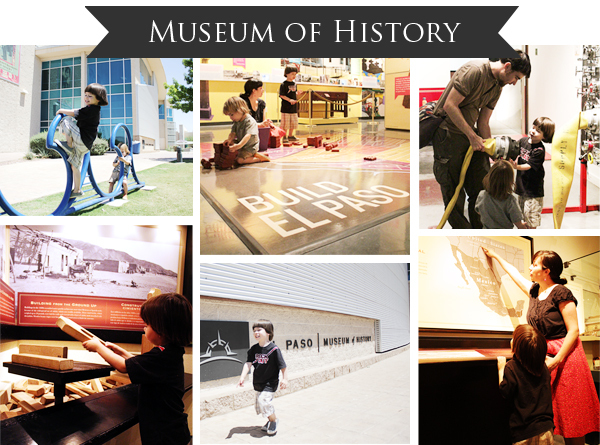 In the end, it came down to my personal favorite, the El Paso Museum of History. Small enough to be enjoyed with young children, this free museum in the heart of downtown is definitely worth a visit! With both traveling and permanent installations being added frequently, even the life-long El Pasoan could learn a thing or two about the fascinating and often times, turbulent history of this border town. Pro tip: The Museum of History is within walking distance to the Museum of Art, Plaza Theatre, San Jacinto Plaza, and Downtown Library. Pay for all-day parking and enjoy a downtown that is undergoing an exciting revitalization. Hungry? Walk a few blocks east to The House of Pizza for a cold beer and pizza. 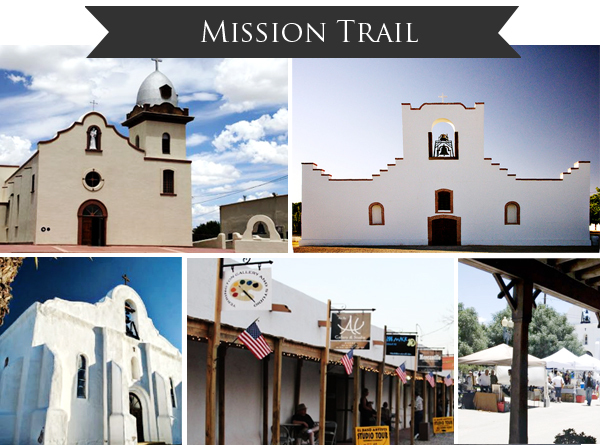 One cannot delve to deeply into the history of El Paso without coming upon the Mission Trail, a 9-mile corridor that includes some of the oldest mission in Texas. Only 20 minutes away from downtown El Paso, the peaceful drive out to the Mission Trail transports you back to another time. After you take in the history of each mission, don’t forget to check out the 20+ art galleries/studios along the San Elizario Historic Art District. Beautiful art surrounded by profound history, does it get any better?! Pro tip: Stop by Licon Dairy on the drive back to El Paso. Buy a couple packages of their famous Asadero cheese because more than likely, you’ll finish one of them off before you make it to the city limits! 5. 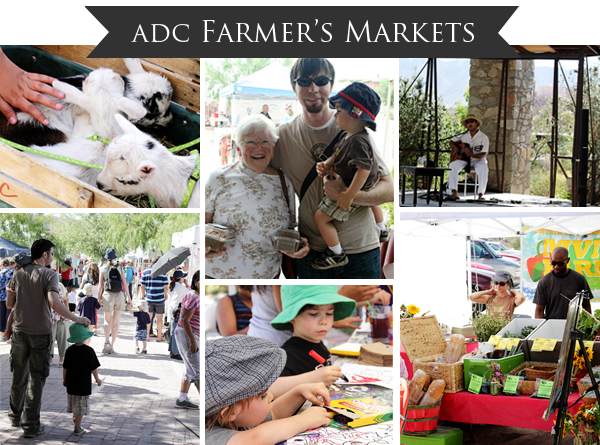 Ardovino’s Desert Crossing (AKA ADC Farmer’s Market) is next up on my list! Although smaller than some of the other markets in this area, their attention to quality merchants and beautiful surroundings makes this a market visitors can’t miss. If you’re lucky, you just might catch a glimpse of their baby goats being walk around! Pro tip: Get there early if you’re looking to find some local eggs. They’re a popular item and sell out quickly! 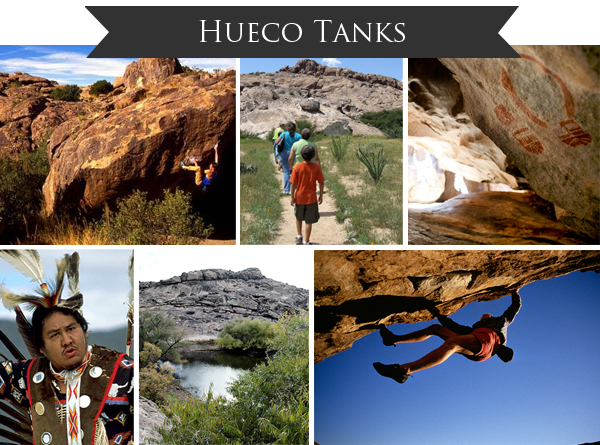 Hueco Tanks State Park is located about 30 miles north of El Paso. This amazing rock formation was named after the basins (“huecos”) that have captured precious desert rainwater for a number of prehistoric and advanced civilizations. Though world-renown as a rock climbing destination, Hueco Tanks plays a huge part of the archeological history of El Paso. Go on one of the guided pictograph tours to explore some of the cavernous niches and caves that were used by Native Americans for religious ceremonies. Pro tip: In order to protect this precious resource, visitation to the park is limited to a certain number of people at any given time. The park issues 70 permits for people to access the North Mountain area each day. To make sure you get in, reserve permits up to 90 days before your visit by calling (512) 389-8911. For most of the year, Scenic Drive (located on the southern-most ridge of the Franklin Mountains) is closed to cars on Sunday mornings so that walkers, runners, bicyclists, and leashed animals can enjoy the panoramic view of El Paso free of traffic. Accessed either from Rim Rd. or Richmond Ave, this four mile walk is open from 6-12 and depending on your speed, you may need anywhere from 1-3 hours to enjoy it. 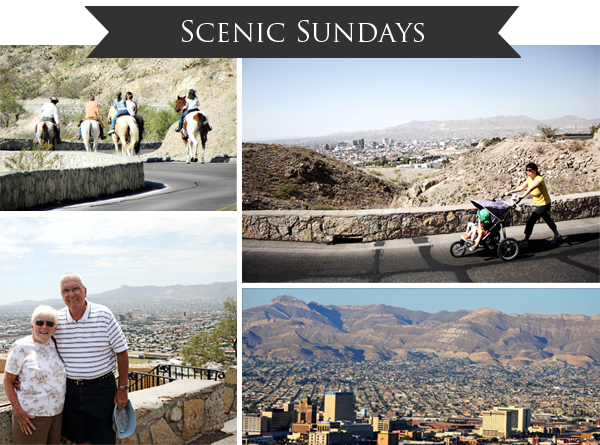 Hint: As with all outdoor activities in El Paso, plan to enjoy Scenic Sunday as early as possible. There’s a reason we’re known as the Sun City! Stop by Kinley’s House off Mesa after you’re done to cool down and refresh. I wish I could go on and on, I have three times as much to share with you but I guess we’ve got to leave some activities to highlight for next year! Don’t forget to stop by Tried & True for the Free & Cheap El Paso checklist. Thank you for letting me show off El Paso, Jamie! I just moved to El Paso and my hubby and I are getting tired of dinner and a movie date nights… plus its just way to expensive. Thanks for this post! I already checked out your larger list of things to do here!